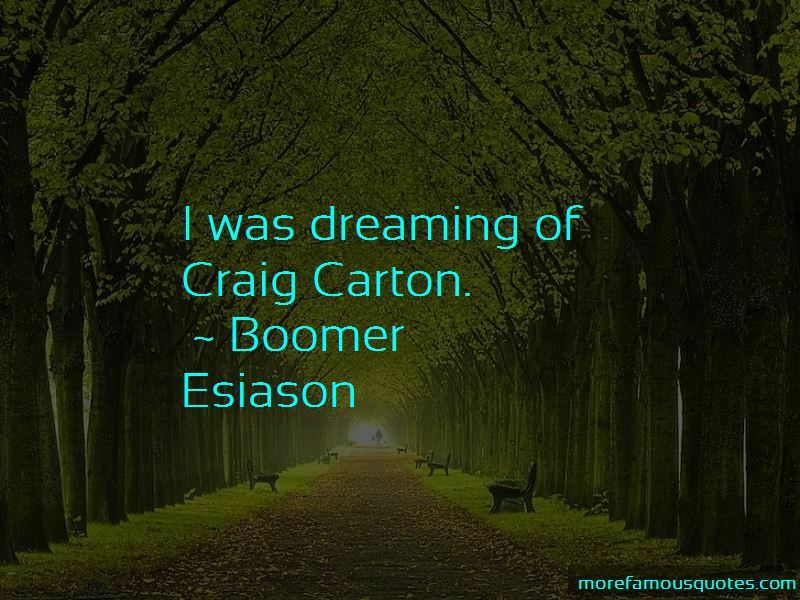 Enjoy the top 26 famous quotes, sayings and quotations by Boomer Esiason. 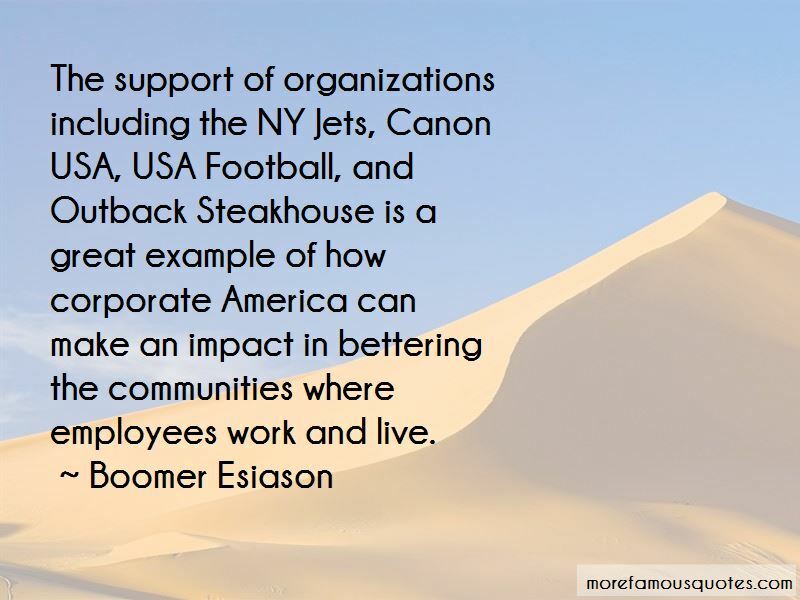 I have reviewed literally hundreds of dotcoms in my drive to bring Boomer Esiason Foundation onto the Internet, and have selected ClickThings as a partner because of the advanced technology it offers small business, and its understanding of the entrepreneurial spirit of the small business community. There's always something to talk about. Randy Moss is not a leader. He doesn't deserve to be the captain of the Oakland Raiders. He's the one who said he wanted to be traded. He's not happy. His effort is lacking. That's a disgrace to the uniform. I don't care what uniform you have on. Playing quarterback ... it's no joke ... The difference here with Johnny Manziel, there's a lot of style and very little substance. 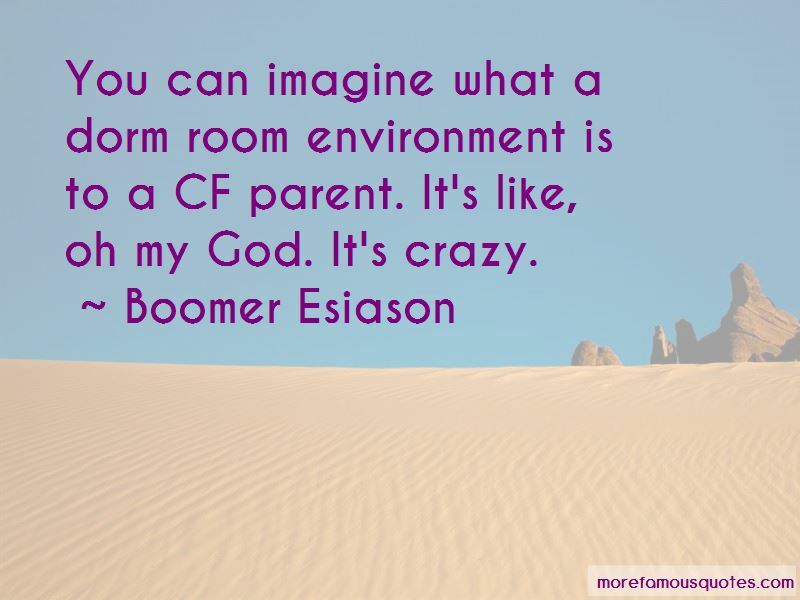 Want to see more pictures of Boomer Esiason quotes? 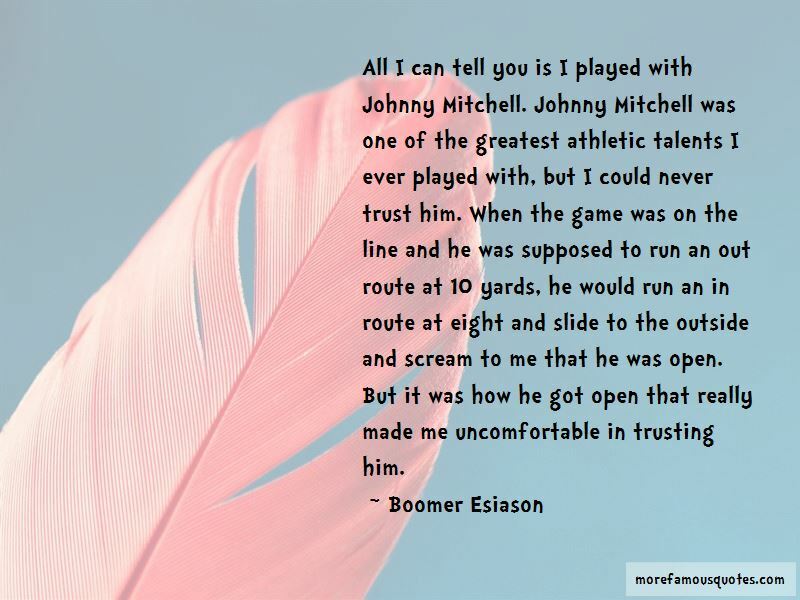 Click on image of Boomer Esiason quotes to view full size.